This week, 8 finalists were announced for the running of the LVMH prize – and the selection is the most diverse yet, with designers from various geographic, gender and racial backgrounds. This year, most of the contestants are also putting sustainability at the forefront of their brands and priding themselves on environmental consciousness and implementing ethical changes in fashion. The LVMH prize winner, which would be announced in June, will receive 300,000 euros in grant money and mentorship from a fashion insider who will help them establish the fundamental aspects of their brand. Meanwhile, here are three of our favorite finalists and read up on the rest of them here! 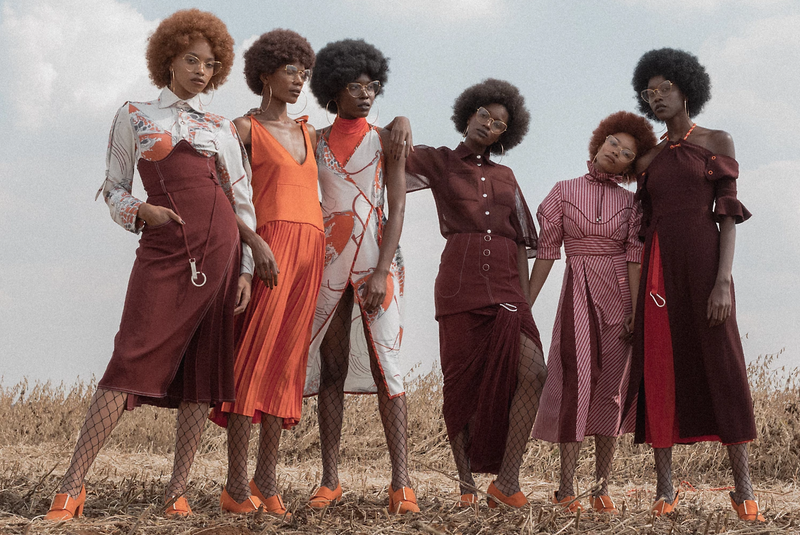 Since 2015, South African designer Thebe Magugu has been creating an eponymous brand that looks to novelty and culture to enhance the way that women dress. The brand’s designs function at the intersection of modernity and the rich history and multi-faceted continent of Africa. Nigerian designer Kenneth Ize founded his namesake brand in 2013. Ize brings together a variety of textiles and cross-cultural experiences to create a unique idea of what luxury can be. Through older construction methods like weaving and looming, he is able to execute sustainable practices in his designs. Bethany Williams is a London-based designer who a laser-focus on sustainability and social consciousness with her eponymous brand, founded in 2017. Her design ethos centers around the exploration of innovative design solutions through ethically sourced materials, every one of her pieces is 100% sustainable.